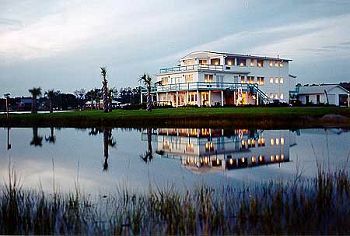 The Harborlight Guest House is a romantic waterfront inn located on the central North Carolina coast. This bed and breakfast offers seven honeymoon suites featuring jacuzzis, fireplaces, and stunning waterviews. 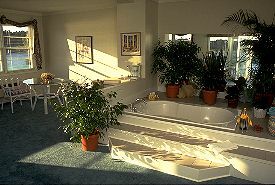 Several suites are wheelchair accessible.A gourmet breakfast is served in-suite or on guest private decks. 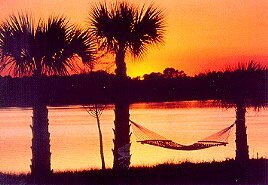 Favorite guest activities include barrier island excursions to beaches only accessible by boat; exploring the shops of Beaufort and Swansboro; horseback riding on the beach; and ending the day with a sunset or moonlight sail. Celebrate your next anniversary, special occasion, or just a romantic getaway at this private waterfront inn. This and other Cape Carteret Bed and Breakfast Inns can be found here in The Register.